January 19, 2016 — Louisiana’s Department of Wildlife and Fisheries, which governs commercial and recreational fishing in the state, got a new boss in January. Charlie Melancon, a former member of the U.S. House of Representatives and state legislator, was appointed to the job by the state’s new governor, John Bel Edwards. Although much of his non-political work in the past has centered on the state’s sugar cane industry, Melancon said he is confident that other experience, including working closely with fishermen when in Congress, has prepared him well for this new challenge. January 12, 2016 — NEW ORLEANS (AP) – Fish farming is contentious, with fishermen and environmentalists warning that new rules supporting it could harm the marine environment and put fishermen out of work. Federal regulations were issued this week, allowing the farming of fish in federal waters of the Gulf of Mexico. Kathryn Sullivan, administrator of the National Oceanic and Atmospheric Administration, said the Gulf rules could spur similar rules in other U.S. waters and help the U.S. meet its seafood demands. Typically, offshore farming is done by breeding fish in large semi-submersible pens moored to the seafloor. The practice is common in many parts of the world, and Sullivan said the United States has fallen behind. About 90 percent of the seafood consumed in the U.S. is imported and more than half of that is farmed, she noted. She said expanding fish farming has numerous benefits. “It’s good for the balance of trade. It’s good for the food security of the country,” she said. It could create jobs, she added. The new rules allow up to 20 fish farms to open in the Gulf and produce 64 million pounds of fish a year. The farms can start applying for 10-year permits starting in February, she said. January 11, 2016 — The first-ever federal regulations for large-scale fish farming in the ocean were issued Monday, opening a new frontier in the harvesting of popular seafood species such as red drum, tuna and red snapper. The new rules allow the farming of fish in federal waters of the Gulf of Mexico. The rules — in the making for years — were announced in New Orleans by the National Oceanic and Atmospheric Administration. NOAA Administrator Kathryn Sullivan said the Gulf rules could spur similar rules in other U.S. waters. She said it was time for the United States to open up this new market, which she said could help the U.S. meet its seafood demands. Fish farming is contentious, with fishermen and environmentalists warning it could harm the marine environment and put fishermen out of work. Typically, offshore farming is done by breeding fish in large semi-submersible pens moored to the seafloor. The practice is common in many parts of the world, and Sullivan said the United States has fallen behind. About 90 percent of the seafood consumed in the United States is imported and more than half of that is farmed, she noted. “It’s good for the balance of trade, it’s good for the food security of the country,” she said. She said it could create jobs, too. January 5, 2016 — A federal judge in New Orleans on Tuesday rejected a challenge to the Gulf Council’s red snapper fishing quotas for the next three years. The plaintiffs, challenged the legality of Amendment 40 to the Gulf Council’s Reef Fish Fishery Management Plan and the associated rule which sets fishing quotas and seasons for 2015-17. 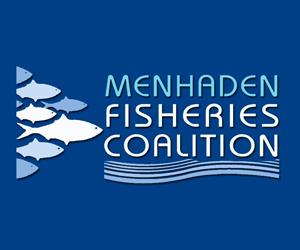 The plaintiffs argued that under the federal Magnuson-Stevens Act, the Gulf Council is prohibited from regulating charter fishing separately from recreational fishing. 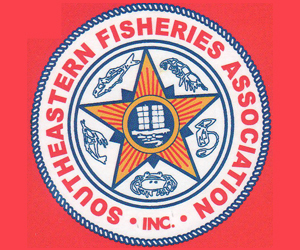 Also, that the Gulf Council and the National Marine Fisheries Service did not “assess, specify and analyze” the economic and social effects of Amendment 40, that the amendment makes an unfair and inequitable allocation of fishing resources and the Council improperly delegated authority to the National Marine Fisheries Service. Amendment 40 defines the partitioning of the recreational sector. All four arguments were struck down. December 31, 2015 — Twenty-six fishermen, fish markets and industry groups have again sued the US government alleging that regulators are allowing recreational fisherman to deplete scarce red snapper stocks in the Gulf of Mexico. The lawsuit, filed against commerce secretary Penny Pritzker, the National Marine Fisheries Service (NMFS) and its parent agency, the National Oceanic and Atmospheric Administration (NOAA) comes in the wake previous litigation that has seen the commercial fishing industry succeed in challenging regulators’ red snapper management policies. The lack of adequate controls on recreational fishing violated provisions of the Magnuson-Stevens Act and prompted regulators to develop new measures for recreational fishing. However, in the lawsuit filed Dec. 28, commercial fishermen argue that a new regulatory proposal to “reallocate” a portion of future red snapper TAC from recreational to commercial use violates existing federal law. Could invasive lionfish end up in Chesapeake Bay? December 29, 2015 — Few fish are as lovely as the lionfish. Few are as venomous. A frilly, colorful native of the clear tropical waters and reefs of the South Pacific and Indian oceans, the lionfish has been a favorite of aquarium hobbyists for years. In the Atlantic, however, it was unknown. Then in the 1980s genetic researchers believe a handful of hobbyists in Florida, perhaps thinking it a kindness, released their aquarium pets into the wild ocean. At that point, the lionfish proved they aren’t just lovely and venomous — they also breed like rabbits on Viagra. Ravenous eaters, they gobble up any smaller fish they spot and easily displace native species. And because nothing in this part of the Atlantic recognizes them as prey, their population has exploded into a serious and unfortunate marine invasion. “It’s gotten really bad,” said Richard Brill, fishery biologist at the Virginia Institute of Marine Science in Gloucester Point. The hardy little invaders have established year-round populations from the Gulf of Mexico to the Outer Banks. They’ve been spotted in warmer months as far north as Massachusetts, although they can’t survive the northern winters. December 19, 2015 — The Fiscal Year 2016 Omnibus Appropriations Act heading to the White House for a Presidential signature includes $10 million for Gulf of Mexico fisheries data collection, stock assessments and research due to the tireless efforts led by Alabama’s Senator Richard Shelby, Chairman of the Senate’s Appropriations Subcommittee on Commerce, Justice, Science, and Related Agencies, and Florida’s 13th District Representative David Jolly, who sits on the House’s Appropriations Subcommittee on Commerce, Justice and Science. Additionally, the bill directs NOAA to count fish on artificial reefs and offshore energy exploration infrastructure, and incorporate those counts into future stock assessments and management decisions for reef fish in the Gulf of Mexico. It provides continued support for electronic monitoring and reporting to collect real-time data that is more economical and efficient than current management processes. According to Senator Shelby, who authored the provisions for red snapper in the legislation, the 2016 omnibus provides up to $5 million for the National Oceanic and Atmospheric Administration’s (NOAA) National Sea Grant College program to support external research and development through its network of academic institutions for a red snapper tagging study in the Gulf of Mexico. In addition, it provides $5 million for independent, non-NOAA stock assessments for Gulf reef fish, including red snapper. December 15, 2015 — Secretary of Commerce Penny Pritzker has appointed Gulf Seafood Institute’s President Harlon Pearce, along with three other new advisors, to the National Oceanic and Atmospheric Administration’s (NOAA) Marine Fisheries Advisory Committee. 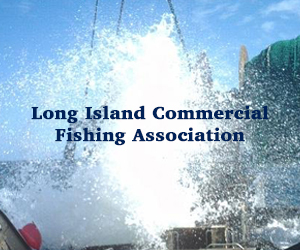 The Marine Fisheries Advisory Committee (MAFAC) advises the Secretary on all living marine resource matters currently the responsibility of the Department of Commerce. According to NOAA, the expertise of MAFAC members is used to evaluate and recommend priorities and needed changes in national programs and policies, including the periodic reauthorization of the Magnuson-Stevens Act, Endangered Species Act and Marine Mammal Protection Act. 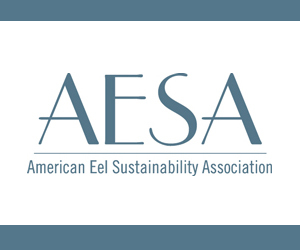 The members represent a wide spectrum of fishing, aquaculture, protected resources, environmental, academic, tribal, state, consumer, and other related national interests from across the U.S., and ensure the nation’s living marine resource policies and programs meet the needs of these stakeholders. 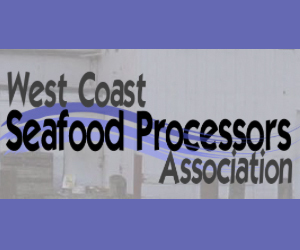 As owner and operator of Harlon’s LA Fish in New Orleans, a seafood processing and distribution company, Pearce has more than 46 years of experience in the seafood industry. He has been an advocate for developing strong and viable seafood industries, a “go to” source for the media and seafood events, and a guest speaker and lecturer. A tireless spokesperson for Gulf seafood, he was instrumental in the foundation of the Gulf Seafood Institute, which advocates on behalf of the entire Gulf seafood community. Pearce previously served for nine years as the Louisiana Representative on Gulf of Mexico Fisheries Management Council and for 11-years was Chairman of the Louisiana Seafood Promotion and Marketing Board, a tenure which spanned both the devastating hurricane season of 2005 and the BP Deepwater Horizon Oil Spill. 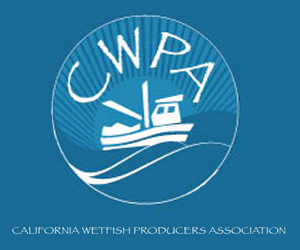 December 14, 2015 — WASHINGTON – The federal agency in charge of the nation’s fisheries should do a better job counting fish so it can develop proper catch limits for recreational anglers, a report by Congress’ investigative arm concludes. The analysis by the Government Accountability Office was requested nearly three years ago by several Republican senators from the Gulf Coast who believe the Obama administration may have been overly restrictive in imposing catch limits on several popular fish, including red snapper. The GAO report says the National Marine Fisheries Service has taken “many steps” in recent years to improve data collection but needs to adopt a master plan for counting fish in a more accurate, timely and transparent manner. For example, the agency doesn’t have a complete registry of recreational anglers, often misses some groups of fishermen while conducting surveys, lacks catch-and-discard data in areas where access to the coastal communities is limited, and needs more “shoreside observers” to improve data collection. Washington, D.C. – U.S. Senator Marco Rubio (R-FL), the chairman of the Commerce Subcommittee on Oceans, Atmosphere, Fisheries and Coast Guard, today sent a letter to U.S. Commerce Secretary Pritzker in response to the recently released Government Accountability Office (GAO) report on Fisheries Data Collection. The report is the product of a 2013 bipartisan congressional request asking the GAO to study the National Marine Fisheries Service’s (NMFS) marine recreational fisheries data collection program. 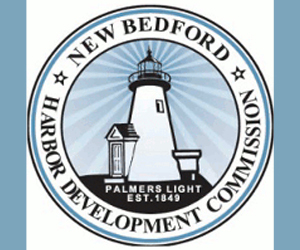 The report concluded that NMFS lacks a comprehensive strategy and recommends that the agency develop such a plan with programmatic goals and time frames, and clearly communicate that information to stakeholders. In the letter, Rubio urges the secretary to fully support implementation of the GAO’s recommendations. Speed up the timeline for fishery disaster declaration. 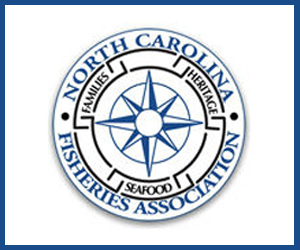 As noted above, NMFS must work diligently to rebuild trust with key stakeholders for more effective management of our nation’s fisheries. The importance of having these stakeholders as data collection partners cannot be overstated. Our fisheries support millions of jobs and are economically vital to coastal communities throughout the Gulf of Mexico and South Atlantic. However, without effective and trustworthy data collection, these benefits will not be realized. A transparent, structured plan with established time frames is essential for a successful data program. As NMFS acknowledges the need to develop this important strategy, I urge you to use the necessary resources within the Department and NMFS to implement the recommended data collection efforts as soon as possible.